We all love to watch and listen to songs, but many of us prefer MP3 (audio file format) only because it is handier and you can listen to it even while travelling or doing something else. If you are travelling, you can just connect an earphone to your smartphone and start enjoying MP3 audio songs. You may not watch videos all the time if you are driving your car but MP3 songs you can enjoy while driving or even doing some household stuff. Finding MP3 songs is tough sometimes on the internet but finding a song on YouTube is quite easy because there is a huge number of content creators on YouTube hence the database is huge. And, that is why you find almost all types of songs on YouTube. But, what if you want the audio version of it? If you download a song from YouTube, it will be in video format. But, you want in MP3 format, then what? Don’t worry; there are many YouTube to MP3 converters available online that you can use to convert video songs into MP3. And, I am talking about 7 such tools in this post. 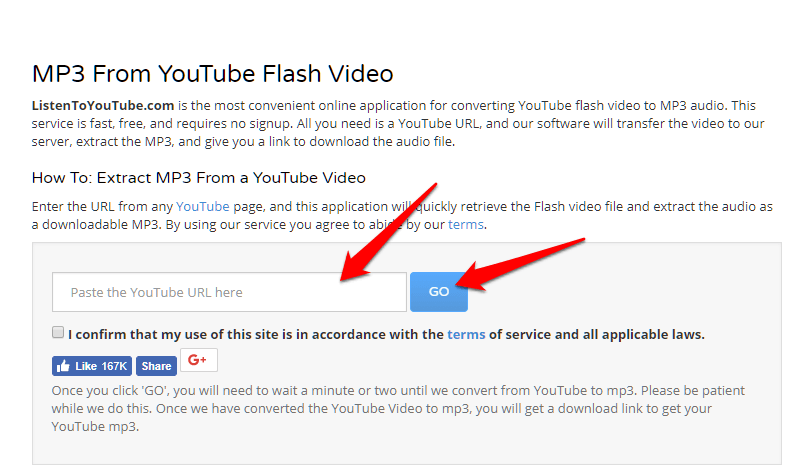 ytmp3.com is first on our list of the best YouTube to MP3 converter tools online. There is nothing much you have to do, just go to YouTube, find a video which audio you want to download. Now, copy the video URL from there. 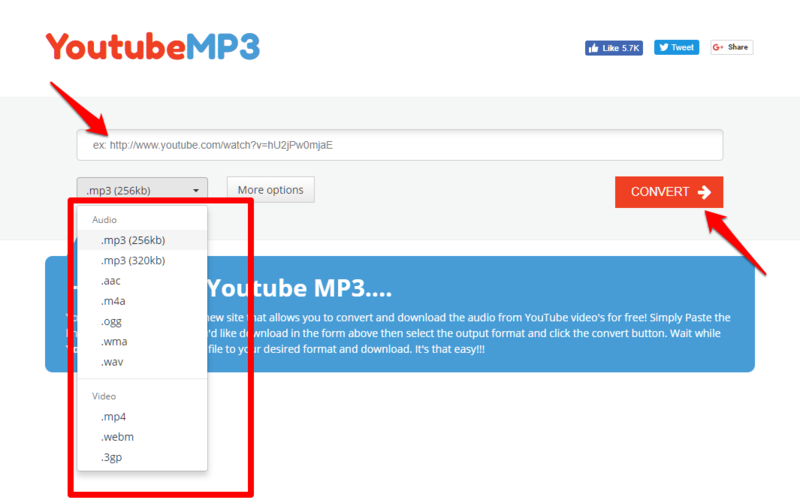 Now, go to ytmp3.com, and paste the URL in the below-shown box and click the button convert to MP3. Now, wait for some time. Once it is converted, you will be offered the converted MP3 audio file to download. Just click and download. Youtubemp3.to is just another YouTube to MP3 converter that enables you to paste the video link and convert it to MP3 audio or various other audio formats. This tool also offers Volume Control feature that allows you to set the volume of the converted video. If you want to keep the volume low, you can keep it low. Once you selected the settings, just click the Convert button, and in some time the video will be converted. This is a reliable and safe YouTube to MP3 converter. FLV2MP3 is one of the best YouTube to MP3 converter tools online that is safe and reliable as well. This tool not only converts to MP3 but it is able to convert into different file formats. You just have to paste the video URL, select the output file format, and click the Convert button. This is a simple yet powerful YouTube to MP3 converter. ixconverter.com is another great YouTube to MP3 converter tool. You can convert YouTube videos to different audio file formats such as .MP3, .aac, .M4a, and few other video formats as well. Just like we did in other tools on this list, copy a video URL, paste there in the tool, select the format, then click “Convert it”. That’s it. This is another YouTube to MP3 converter tool that does the conversion quickly. Just like other tools, you need to copy the video URL and paste in the tool and click on Download. In some time, you are shown a download link on which when you click, the MP3 version of that video will be downloaded. Moreover, it can convert to other formats as well, you just have to select the the format before clicking on convert button. Listentoyoutube.com is another best YouTube to MP3 converter which is being used by many users to convert videos to MP3 audio. You don’t need to do much to get the MP3. Just like other tools on this list, copy the video URL, paste in the box, and convert. In a few seconds, you will get the MP3 file to download. This is another good and one of the best YouTube to MP3 converters online which you can use to convert any YouTube video to MP3 and download it to your device. 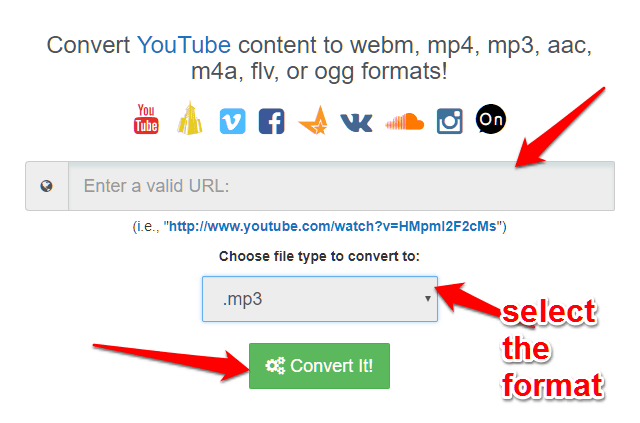 Copy the video link from YouTube, paste in this tool, and click on Convert. 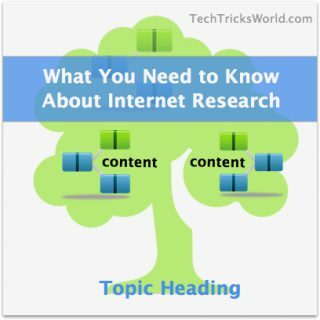 Moreover, if you want, you can choose another format as well. It offers many apart from MP3. If you want a desktop software, then you can download this tool for your PC as well. If you are fond of listening to songs, these tools would surely help you because there are times when you are not able to find a song’s audio format such MP3 or other on the Internet. But, the same you can easily find on YouTube. So, these tools are good to convert them to MP3 or other audio formats. I hope this list helps you. If you have any question or feedback, do write in the comments. camtasia is great but that is paid tool. There are many free once as well like VSDC, camstudio, etc. Hello Sir i want to know is there any free tool available for editing youtube videos as i am thinking of starting a youtube channel. thanks for giveing youtube to mp3 download tips,brother some time some videos not downloading or speed so slow. Which site can get good speed when using? All are good. Try them. Hey Atish, have you tested yet ausark.net? 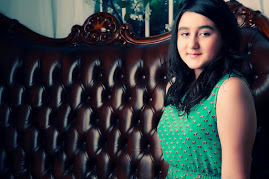 this site is awesome for download youtube videos to HD video & mp3.